Hi. I’m Anastassia, a UX/UI and visual designer with 10+ years of experience. My qualifications include: User Experience Design (UXD), User Interface Design (UID), User Experience Research (UER), Interaction Design (IxD), Information Architecture (IA), Responsive Web Design (RWD), Visual Design, wireframing, prototyping, iconography, brand identity and everything in between. I love working with creative and inspiring people who are committed to building products so good that the customers cannot imagine using anything else. Project is focused on how to make the app a safer place for kids, give more control to parents over the content their kids watch and make the app more user-friendly for both audiences. A social app for parents and kids that helps to find new friends and keep in touch with old buddies. The app is designed to be a safe, practical and personal tool for both audiences. Project is focused on organizing, structuring and labeling content in an effective and sustainable way. The goal is to help users find information and complete tasks with ease. A collection of icons created for TomKat Safety, Maschmedt & Associates, Guardian Fall Protection, Starfire Sports, bukvitsa.com and this website. 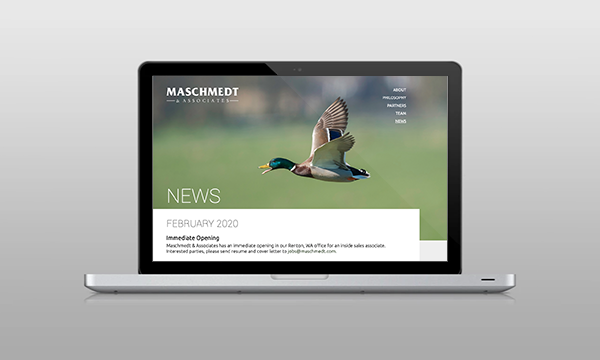 Maschmedt & Associates is an award winning manufacturer's rep firm providing professional brand management for market leading companies in the hunt, fish, and outdoor segments. Privately owned and locally operated since its founding in 1993, Guardian has since been the top manufacturer and provider of safety products for America’s construction workers. 48 North is a leading sales and marketing firm providing professional brand management to innovative companies in the firearms and outdoor sectors.